Whether you're a seasoned pedal pusher or a humble pedestrian turned on by the idea of getting around on your very own bicicletta, you two-wheel enthusiasts prefer to wear lycra around people on the same wavelength. 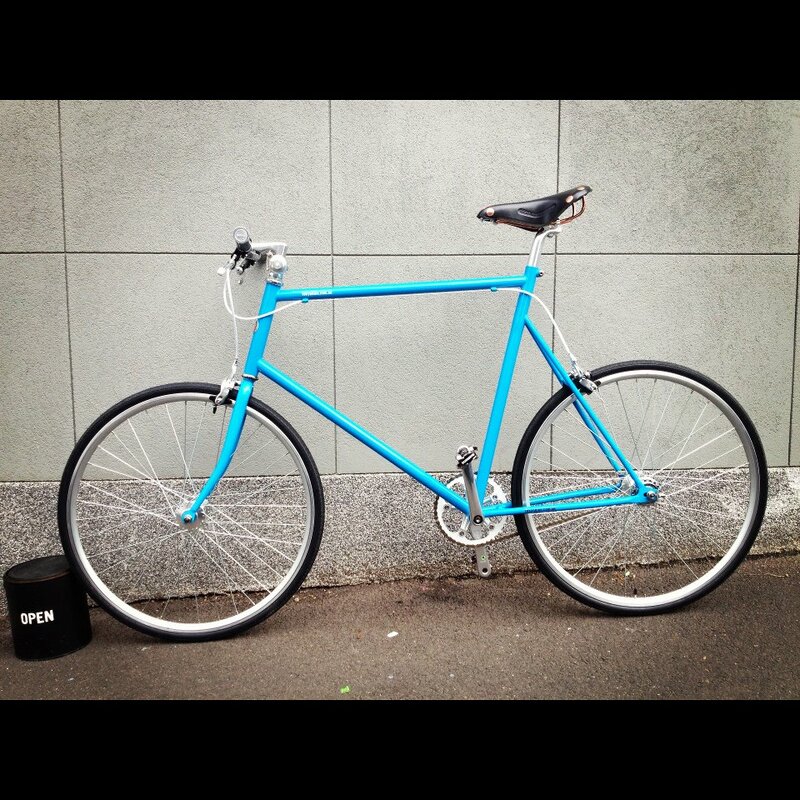 Luckily Melbourne is a big city, and there are a lot of bike loving businesses out there that want a piece of you. So we've done our lovely Urban Listers a favour and rounded up the best of the bike world. Ride on. If you've ever gone for a bike ride in Carlton, you would've graced the longest of Melbourne's concrete snakes, The Capital City Trail. Regardless of the hour, the trail is flooded with happy cyclists cruising, commuting and...you guessed it...caffeinating. Capitalising on the Capital City Trail (pun, woohoo) bike riders is hip cafe St Ali North, the second in the St Ali cafe stronghold. As is the St Ali signature, you'll be at the hands of state of the art coffee machinery, talented baristas and a brunch menu that will have you swooning. As if that wasn't enough reason to change gears, next door to St Ali North is Velo Cycles, a bike shop that'll tempt you with their specialty tour bikes, plus fixies, road, vintage and cyclocross bikes to boot. Like any good neighbours, they've tagged teamed so you can get a 'ride-through' coffee, free air for your tires, and a roving bike mechanic floating 'round the flat whites and bike shop at all times. Though I didn't know there was a relatively prominent bike culture in Japan, the fact that their bikes are worthy enough to cross continents gives me a lot of faith in tokyobike. Bikes from here will not only get you from A to B, they'll make you look good whilst doing so. Stocking a variety of bikes, these are the bikes a casual rider will take comfort in, but a seasoned one will keep for his Sunday sidewalk. Sticking true to their artisan nature, you can also pick up something to make your commute a bit sexier, with leather saddles, bags and helmets all for sale. You're kidding yourself if you're not, at the very least, regularly window-shopping here. 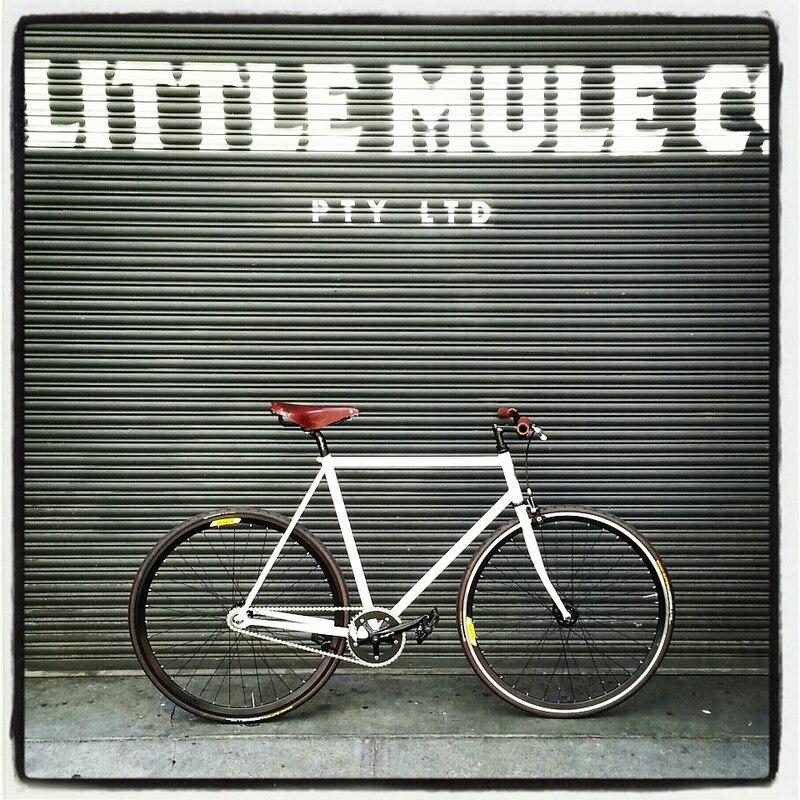 Melbourne's cycling community has spoken – Reid Cycles is one of Melbourne's best bike shops! Located in North Melbourne, Reid Cycles is a one-stop-shop for anything to do with bikes – from road bikes to beach cruisers, vintage wheels to the fixie (a northside staple! ), they have it all. Reid Cycles also stocks a huge range of top quality cycling gear, spare parts and accessories. You can get your cheap and cheerful here, alongside your Tour de France bike buddy; just ask the incredibly enthusiastic staff to guide you through the racks and rows of racing machines. All of their own bikes are designed in Australia, and if you bring in your bike they'll service that bad boy for free. Nick Mahoney's Saint Cloud is the product of a dream, partnered with and undying enthusiasm for maintaining Melbourne's manic bike culture. His Gertrude Street store is a place of local and international bikes, apparel and art, where consumers will not only feel comfortable purchasing a bike, but enjoy popping in for a chat on their ride past. Named after a commune in the western suburbs of Paris, Saint Cloud was the home of the first ever bike race that was held in 1868 and won by a bike with a wooden frame and iron tyres. And now it's a shop. True Blue. Image Credit: tokyobike Facebook. Founded in Sydney but operating in Melbourne for three years, Chappelli are a cut above the rest in terms of design and affordability. Their history dates back to one Roberto Chappelli, a professional cyclist and engineer, who designed and handmade his own racing bikes to compete in the Tour de France. Five decades and numerous design awards later, Chappelli is nationally renowned for their stripped back and eye-catching range, which includes fixies, three speeds and women's vintage style bikes. Marrying the infallible combo of long macchiatos and bike riding, Hawthorn's Bike Gallery is the place to not only grab a coffee, but to pimp your ride. Located in a side street off Camberwell Junction, Bike Gallery's exposed brick walls, high ceilings and silver stallion Synesso will have you feeling oh-so-Melbourne within moments of arriving. Sip on your coffee courtesy of Axil Coffee Roasters and browse the many magazines, accessories and of course, bicycles, on offer. Upstairs they've got a full fitting studio and service centre with a workshop for servicing and repairs. They've got a good old-fashioned thing going here, and it's working. The epitome of chilled out, Mottainai Cycles is located in a hole-in-the-wall shed on Kerr Street, Fitzroy, selling vintage bikes and servicing your lovely little machines. They specialise in building custom bikes and restoring beautiful old bicycles, as well as maintaining the most friendly and relaxed attitude you'll possibly ever come across. They're open seven days a week, but come the weekend, you'll see they also rock a pop up Indian stall by the handle Overdosa, courtesy of vendors Tyson and Kunal. These dudes are coined the supreme grand poobahs of the dosa (fermented crepe made from rice batter and black lentils), dishing up this street-savvy vegetarian fare on Saturdays and Sundays. Park your bike out the front and watch it get serviced whilst you munch on a dosa and sip on an Indian soda pop. According to the staff at St Edmonds, Northside Wheelers is the place to go should your bike get sick. Northside is a small space, but it's decorated with sweet bikes, cool graffiti and Union Jack flags, which make it a pretty homely space. This isn't the place to come if you're planning on tackling the Iron Man, but if you're a hipster who needs his fix, Northside will deck you in threads fit for a biking king. They're also the only retailer in Melbourne to stock Rapha cycling wear. Sticking to the stereotype of caffeine-hungry cyclists, Cafe Racer is the place to be seen should you be donning the lycra in the morning. Located along one of the greatest bike paths in Melbourne (Marine Parade), Cafe Racer is chocka-block full of bikes, bike memorabilia, bikies (just kidding) and a brunch menu fit for a king. Don't be afraid to join in if you're not a bike buddy, though; as the sun comes out over the horizon and the morning cyclists retreat, the lunch menu and fine coffees make Cafe Racer a hub for local bipeds. Image Credit: The Little Mule Facebook. Though I have an affinity with this humble bike cafe that may render me biased, no one can disagree that The Little Mule is a shiny diamond amongst the concrete jungle. One side is the cafe, with a wicked little menu featuring brunch favourites, as well as handmade pastries and treats and great coffee. On the other side is the bike store, where the team are busy building your custom-designed single speed and fixed gear bike. Bring in any design you'd like – almost every aspect of the bike can be tweaked and changed and they'll work with you every step of the way to ensure you get what you want – latte in hand. Touting their brand as a main street shop, not a faceless warehouse, Pista are all about attentive customer service, advice and the street smart chat that you bike lovers indulge in. As well as stocking a hefty range of bikes both locally and internationally sourced, Pista will also custom build a bike for you, should your design be aesthetically and functionally plausible (no unicycles here.) Like any good bike shop, they're also good for services, facelifts or a complete restoration – no goal too large, no fix too small. Quick to mend and surprisingly affordable considering the quality, Pista Bikes is a must stop for you South Yarra cyclists. Main Image Credits: Seventies Twoday and Pinterest.